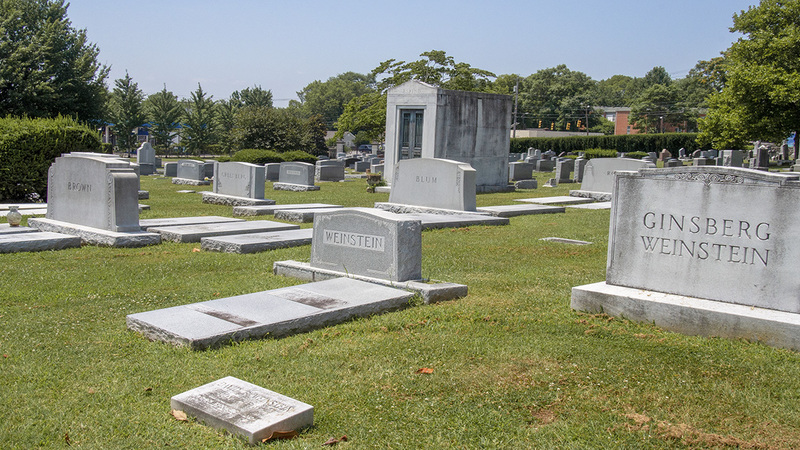 In 1851 trustees of the Hebrew Benevolent Burial Association purchased approximately three acres of land on what was then the northern edge of Nashville to serve as a burial ground for the city’s Jewish congregation, thus establishing the first Jewish cemetery in the State of Tennessee, with the earliest marked burial dating to 1854. Additional contiguous land was purchased in the early 1880s, bringing the parcel to 9.25 acres, its current size. The cemetery was then redesigned by Wilbur Foster, founder of the construction company Foster and Creighton, who added a paved, figure-eight road to the newly enlarged site. 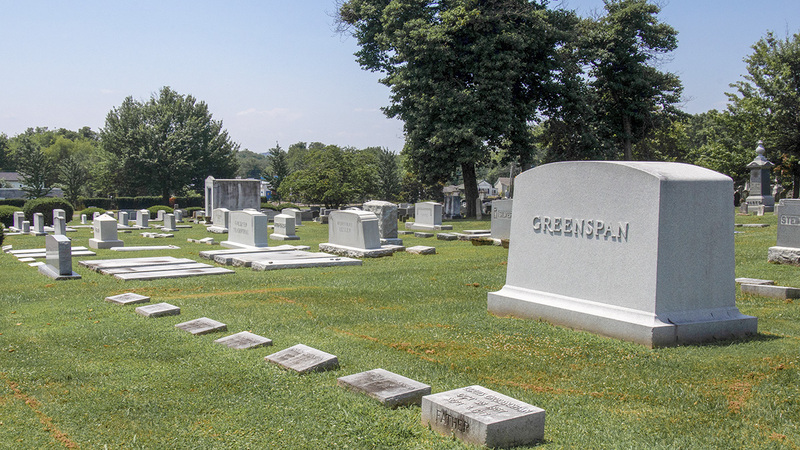 The graves are arranged in straight rows throughout the cemetery, grouped in family plots only after the 1870s. Obelisks, mausolea, and other architectural features in granite and marble reflect Jewish stylistic elements but also an eclectic mix of Art Deco, Victorian, and Classical Revival motifs. 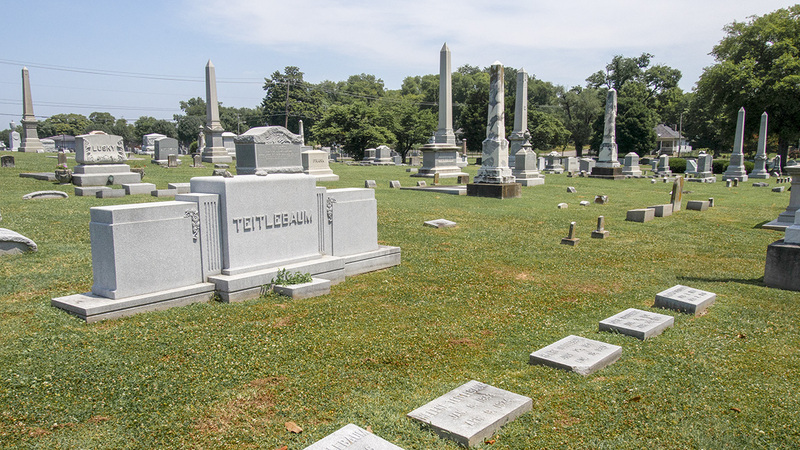 The two central sections of the cemetery (within the figure-eight) are largely devoid of plantings, but poplar, cedar, and magnolias dot the outer sections and are especially concentrated along the fence lines. A nineteenth-century stone wall partially encloses the site on the south and west, along Clay Street, Cass Street, and Eighteenth Avenue North; the circuit is completed by chain-link fencing along the northern and eastern boundaries. The main entrance, near the corner of Clay Street and Fifteenth Avenue North, is marked by red-brick pillars and a wrought-iron gate, with a caretaker’s house (built in 1966) just inside the wall. Announced by limestone pillars that frame another wrought-iron gateway, a second entrance at the southwest corner of the property is no longer in use. 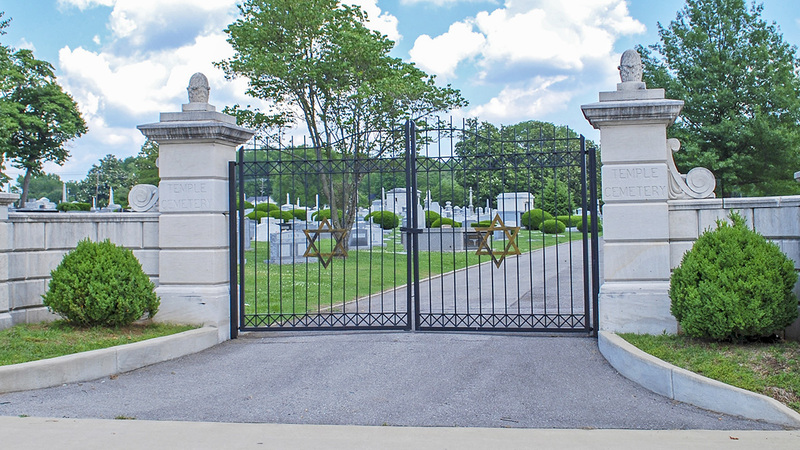 The cemetery continues to serve as the burial ground for the Temple Congregation Ohabai Sholom and contains more than 3,000 graves. It was listed in the National Register of Historic Places in 2004.